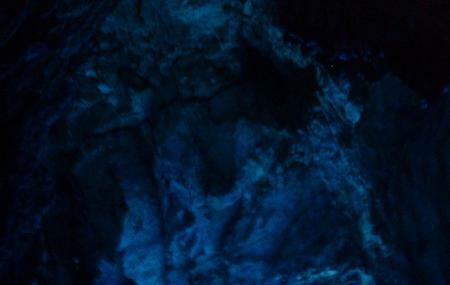 Blue Cave located in the Adriatic Sea is an enchantingly beautiful natural grotto. It is famous for its magically blue appearance, and looks like it is straight out of a fairy tale. The only way to reach this cave is through a boat or a ferry, and guides are available at the beach. The guides take you through a detailed tour through the blue cave, and provide ample information about the same. Visit the Blue Cave for a mesmerizing experience. Personalize your visit to the city by chalking out a plan using BiÃÃ…Â¡evo trip planner. Your worry of where to stay in BiÃÃ…Â¡evo is sufficed by bunch of interesting and comfortable lodging options in the BiÃÃ…Â¡evo like Apartments Diana 1, Guesthouse Ksenija and Apartment Mare. Find out how to reach BiÃÃ…Â¡evo to begin with. Plenty of wholesome BiÃÃ…Â¡evo vacation packages are available to choose from, pick your today! Love this? Explore the entire list of places to visit in Biševo before you plan your trip. Fancy a good night's sleep after a tiring day? Check out where to stay in Biševo and book an accommodation of your choice. How popular is Blue Cave? People normally club together Green Cave and Sveti Klement while planning their visit to Blue Cave. A tourist attraction worth the money and the trip! You see all the islanda along the way and being out on the sea, till you get to this little treasure. Arriving on the island, you wait about 10 minutes for a small speedboat that takes you into the cave where you see the beautiful blue color. I will remember this cave for a long time. This is one of those ”touristy” things worth checking out. Primarily because of its uniqueness. It’s not like taking a photo with another old statue, which you come across just about everywhere. Blue cave is beautiful! But the guys that work at queue are so rude. We had this angry young man literally threating us and we don't even know why! We're patiently standing in place with my 60 year-old parents and waiting for 1 hour, our numbers came up and were skipped in seconds and then we had this very rude man accusing us of not being there (how come? ), threatening to send us to the end of the queue and wait another hour... He ruined our experience. 70kn for the ticket after boat ride from hvar. Blue cave is such a wonderful place. You have to take a boat from hvar to reach the nearest port to blue cave and then take a 70kona (9euros) ticket to reach this place. It is a protected site, so it is forbidden to swim or snorkel. It is the play of light shadow and reflection from sea bed which makes the lake glow. This is definitely place "must see" type. Important thing is to be there in the morning and alone. You should spend inside a while to embrace dizzying beauty. You can even jump to the water inside cave. In this case you will be surrounded by warm, blue water with beams of sunlight.